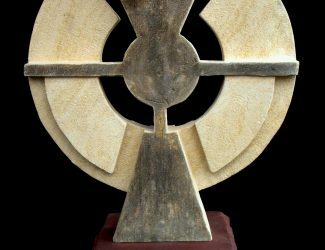 This is a commissioned sculpture that I created for a client in College Station, Texas which depicts the prominent Hebrew Chai symbol. 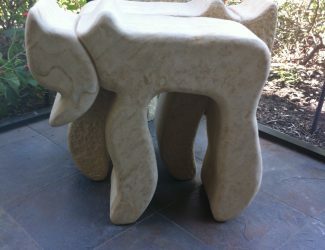 This piece was a collaboration with Austin landscape Designer Greg Bakunas. 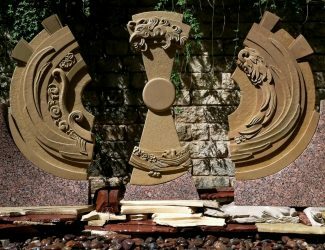 The three top pieces with carving detail depicts the image of a deconstructed Phoenix. 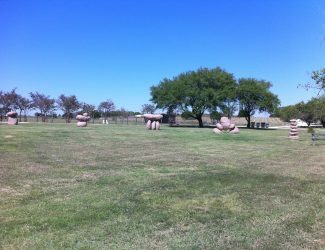 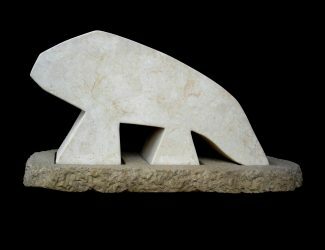 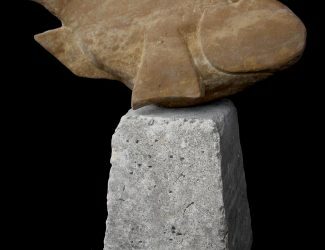 These five Sculptures are made with various sized boulders ranging from 70 lbs to 3.5 tons. 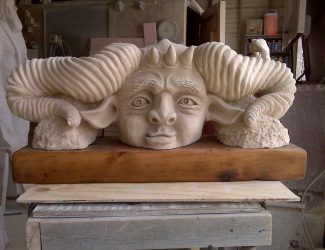 This is a replica of an ancient Amorgos head sculpture. 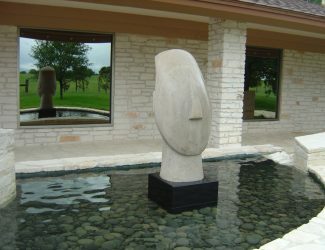 Private residence(Manor, Texas). 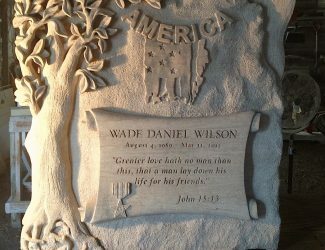 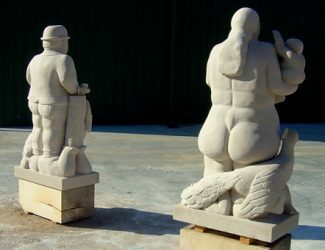 This is a grotesque that I carved at a carving competition at the “Vineyard at Florence”, in Florence, Texas in the summer of 2009.